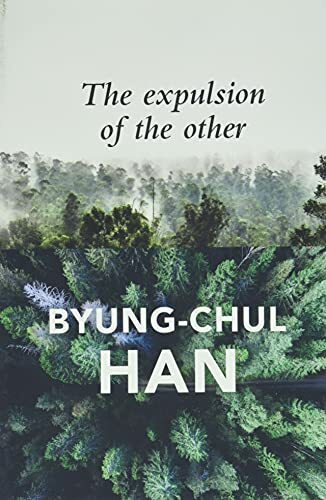 In The Expulsion of the Other (2018), the Korean philosopher Byung-Chul Han analyses our everyday existence in today's achievement society characterized by excessive hypercommunication. We conform to fit in. The Other is expulsed due to the terror of the Same. "In that hell of sameness, humans are nothing but remote-controlled puppets." Expanding on this idea: the terror of the same, Han returns to the question "Why?". He claims that if it becomes irrelevant, nothing is understood, then adds, "knowledge is understanding … Insight in an emphatic sense is also transformative." That philosophical thinking is transformative is well known, but some philosophers—especially phenomenalists—may differ regarding the Why-question, claiming that it leads to unending regress: because, because, because. Instead, for example, Merleau-Ponty would prefer How- and What-questions. Still, Han's errand is to illustrate that when everything is reduced to the Same, we become blind or deaf because the strangeness or even the painfulness of the Other is erased. The world turns flat and boring. After all, the subject of seduction is the Other: "the Other as eros." Eros is part of thinking, an idea that Han developed in his essay The Agony of Eros; it's Eros that makes us courageous enough to take a step into the unknown. Continuing, Han stresses that neoliberalism is not guided by reason; quite on the contrary the freedom of neoliberalism is an advertisement: "… freedom itself is exploited. People willingly exploits themselves under the illusion of realizing themselves." The ideas that Han present here are not new. He has repeated these, at least, since the publication of Müdigkeitsgesellschaft in 2010 (English, The Burnout Society, 2017). But still, like repeating a good joke, small nuances are added..
Han's style is Hegelian; he operates in dualism. It makes him easy to follow but at times he misses, at least in my opinion, the blurry gap in between. For example, Sameness is bad because it makes us numb whereas the Other opens us for thinking; negativity is good because it challenges and affects us, whereas the terror of positivity makes us empty; love is the answer whereas today's narcissism and the endless string of selfies only creates emptiness and depression; it's better to listen than just communicate. Lastly, today's notion of authenticity is "the self's neoliberal form of production." It's difficult not to agree. Today people optimize their bodies and souls to become attractive, sellable commodities. Status, prestige, and power are guided by the market, not by love as a political and transformative power. Still, when Han quotes Deleuze for saying, "Playing the fool has always been a function of philosophy" because the philosopher breaks with the predominant, i.e., the Same, Han tends to be against or opposing the Same from an opposite position. Black or white; positivity or negativity. However, in my opinion, Deleuze's philosophy doesn't create an opposition to a dominant position; rather he is more prepositional, more immanent, placed in the midst of life pointing out new forms of life. Han, on the hand, is transcendental. I sense his German roots, Hegel and especially Heidegger, when it comes to truth and origin. He tends to aim at reawakening an "original animal" within. For example, he follows Heidegger's concept of Eigenlichkeit, the potential for being that suffers from the seductive power of They (Das Man). We are narcissistic in the eyes of the Other because we want to be liked and followed by them, but Han want us to be more true to ourselves regardless what They say and feel. Intuitively I follow him (although I understand the self as a changing process of becoming, not something solid but something else), and similar ideas like Han's can be found, for instance, in psychologist Edward Deci's Why We Do What We Do, where he writes, "…narcissism involves desperately seeking affirmation from others." Narcissism is not the result of Eigenlichkeit, but is its antithesis. Continuing, Han writes that the constant hypercommunication "destroys both you and closeness. Relationships are replaced by connections." How do we overcome the terror of positivity, the hell of Sameness? Han suggests that we use listening as a generous invitation for another to speak. "Listening is a bestowal, a giving, a gift. It helps the Other to speak in the first place." My silence, therefore, expresses a hospitality. In conclusion, Han tells us what most of us already know, but unfortunately many find it difficult to live up to: Love is the answer. "Only eros is capable of freeing the I from depression, from narcissistic entanglement in itself." What Han doesn't explore sufficiently in this essay is the delicate balance between a healthy self-love (I would call it self-care) and narcissism; that is, today many people are selling love, praying love, even acting lovingly but in a way that seems to be fueled by their desire for status and prestige related to being a loving person. There is a political correctness that has even invaded love, playing with Heidegger's distinction between Eigenlichkeit and Das Man; authenticity and They. It could be interesting to relate his ideas to Spinoza, who defines love as the increase of our joy, as well as of our power to act and think, with the recognition of an external cause. His love is social. Thus, instead of striving to be honest towards myself (Eigenlichkeit), maybe I should try to engage with love and care for others. In a way it would make better sense to love my wife than myself because her love makes me more powerful and joyous. And, therefore, I can act with more compassion socially. I'm not sure that Han would disagree with these preliminary thoughts; still, what he gains in his accessible and stimulating analysis is perhaps what I miss: a more thorough study where the treatment and diagnosis hang together better. For example, yes, we should listen, but what do we do when what we hear is unacceptable, such as misogyny, racism, and extreme nationalism? Shouldn't I say something out of love? If love is the answer, then it means that when there is no doubt, there is love. Seen in this light, Han's book is full of compassion because every time love is absent, we should doubt, imagine, think … how to enhance love. Finn Janning, PhD, a writer and philosopher.